The 23andMe Personal Genetic Service® analyzes the DNA in your sample using microarray genotyping. 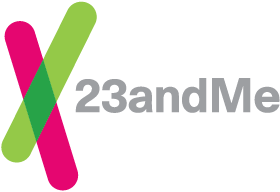 23andMe periodically updates its genotyping chip in order to take advantage of improvements in technology, to make updates to information provided in the Personal Genetic Service, or to offer flexibility for future research. Depending on when your sample was genotyped at our laboratory, it may have been genotyped on a previous version of our chip. The genotyping chip your sample was tested on impacts which genetic markers are included in your raw data, and in some cases, the reports available in your account. You can view which chip version was used to process your sample from within your account. The genotyping chip version is listed in the Personal Information section of your Account Settings. Customers previously had the ability to update from an older chip version to the current chip version at a discounted price; this option is currently unavailable. More information will be available at a later date.